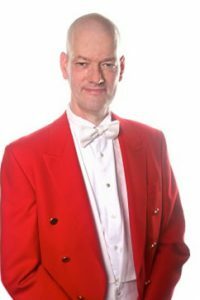 As your toastmaster, I will ensure that your wedding reception and wedding breakfast are conducted in a friendly, relaxed yet dignified manner. I will visit you prior to your reception, and go through the procedure and detail which will ensure that everything goes to plan. 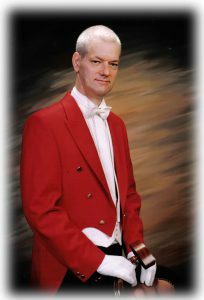 As your toastmaster it would be my responsibility to make your wedding day a happy family occasion, and as such, all the above details can be added to, or changed to suit your own special requirements. Company and organisation dinner/dances presented and delivered according to traditional principles and allied to clients demands. After liasing with the event secretary and principal speakers. By welcoming, introducing and announcing guests, and by assisting in keeping the event running to the specified deadlines. Lord Mayors celebrations including banquets, receptions, inaugurations, etc. All correct protocol observed and correct preambles arranged for all introductions and speakers. Also catered for are Round Table, Rotary, and Lions functions with full consultation with principles and secretaries. Masonic functions, festivals and Ladies Evenings.